The School Governing Board is our ambassadors and advisors. Their support helps us deliver quality education and opportunities for current and future pupils. While the Council of the Girls’ Day School Trust has legal responsibility for the overall operation and governance of the Trust, the Board plays an integral part in making it all happen. At a local level, the Board supports our Head, Julie Keller, as well as planning the school’s strategy and business, promoting the school, and reviewing and monitoring our performance. 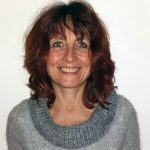 After graduating from Leeds University, Jean trained as a careers adviser and continued to work in the field of education, training and skills throughout her career. 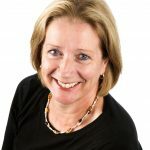 Before retiring, she was Chief Executive of Futures, a Nottingham based company which provided apprenticeships, careers support services to young people, and the National Careers Service to adults across the East Midlands, employing up to 400 people. Throughout her career she maintained a strong commitment to voluntary service which continues to this day. Jean was awarded an OBE for Services to Young People in 2005 and was invited to become a Deputy Lieutenant of Nottinghamshire in 2013. We very much appreciate the huge impact that her wealth of experience has on the life of the school. 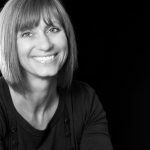 Anita obtained her BA (Hons) degree in Accounting and Finance at Nottingham Trent University and qualified as an ACA in 1984. She has over fifteen years experience in the food business holding a variety of senior financial and operational roles. 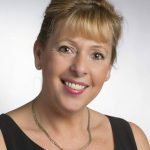 She joined Samworth Brothers in May 2014 having previously served as Managing Director at Walkers Midshires Foods, and also held positions at Humber Seafood Institute, Coldwater Seafood, Geest, Hazlewood Foods and Boots. Anita is a former NGHS parent and keen supporter of the school who has helped girls with careers advice and visits, and is looking forward to continuing her engagement with the school as a member of the Governing Body. 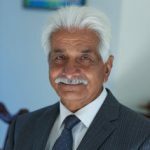 Of Indian origin, Dr Jas Bilkhu arrived in England in 1960 at the age of thirteen and was schooled in Nottingham before going on to study Medicine at Manchester University. 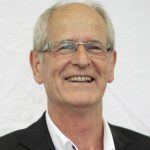 His achievements in the field of medicine over the years have been exceptional, from developing a thriving five-partner health centre in Radcliffe-on-Trent, to the many teaching and training roles overseen as Postgraduate Medical Dean for the East Midlands, and serving as a GP himself for 27 years. Dr Bilkhu has chaired numerous committees and worked as Provost for the Vale of Trent faculty of the Royal College of General Practitioners. He is a charter member of the Nottingham West Lions Club and has helped raise considerable amounts of money for various charities over the years which he continues to do through his other ambassadorial roles. Dr Bilkhu became the High Sheriff of Nottinghamshire in 2015/16 and is also a Deputy Lieutenant for the county. Anita originally attended local schools in Clifton before being awarded an NGHS bursary at the age of 13, which she believes consequently led to her gaining a scholarship to read medicine at Oxford. Qualifying in 1986, Anita spent 26 years as a GP partner, initially in Leicester and the last 14 years in Nottingham. Since 2003 she has worked for Nottinghamshire’s out of hours primary care organisation NEMS, and has been Medical Director there since 2013. 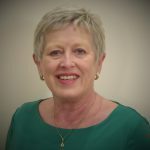 Passionate about high quality student centred education and access to it, and inspiring students to fearlessly strive to achieve their dreams makes Anita an ideal member of the Governing Body. 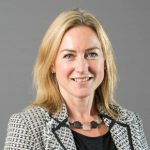 Antonia is a Partner at Gunnercooke LLP, specialising in commercial real estate, prior to which she worked with national law firms Eversheds LLP and Geldards LLP. She advises on landlord and tenant work, sales, purchases and lettings of commercial properties, acting for major corporate occupiers, pension funds, SMEs and high-net-worth individuals. She enjoys becoming involved with and understanding her clients’ businesses and commercial drivers, and building long-lasting relationships with her clients, which are all useful assets for the School’s Governing Body. 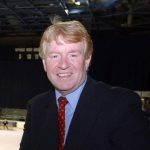 Parent of a former pupil at the school who has since graduated in Philosophy, Politics and Economics at Oxford, Geoff retired last summer from his post as Chief Executive at the National Ice Centre and Nottingham Arena, a position he held for 15 years. Prior to moving to Nottingham, he enjoyed a successful career at senior management level in the leisure/sport/ music industry including running Wasps Rugby and The National Sports Centre at Bisham Abbey. A former Chairman of the National Arenas Association, Geoff served on the Board of UK Music for a number of years. He has a Masters degree in Strategic Leisure Management from Brunel University and has presented keynote papers at several national and international seminars. Listing his particular interests as sport and music, Geoff hopes to use his knowledge in these areas for the benefit of the school. Parent of a former Nottingham Girls’ High School pupil, Richard has recently retired from over 40 years in management at Boots to sit on the Development Board for our new Squire Performing Arts Centre (the space). With a degree in French and English from Leeds, Richard is also an active mentor for our Sixth Form Young Enterprise scheme. Educated initially in York before obtaining an Honours degree in Mathematics at Nottingham University, and later a PGCE at Nottingham Trent University, Rita has recently retired from her teaching position at Nottingham Girls’ High School. Rita was a well-respected member of the Maths Department but also taught some PE during her twelve years at the school, and had responsibility of the pastoral care of Year 7. She is delighted to be invited on to the Governing Body of NGHS and looks forward to continuing her relationship with the school.